Did you miss our event on February 15 about ‘Intrapreneurship’? - We thought of you, we offer now two podcasts recorded during the evening. The first one with the introduction of Estelle, the explanations of Michel about our website and the intervention of our facilitator: Anis Bedda. In the next one you’ll find the conclusions of the created teams. For a more complete experience we strongly recommend you to join us at our next evenings!Good listening and thx to all who particpated! 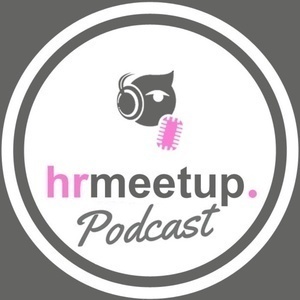 - Read more: http://www.hrmeetup.org/thepodcastfactory-hrmeetup-evening-15022016-intrapreneurship-eng - Website: http://www.hrmeetup.org - You can support our project by a "Like" of our Facebook page (www.facebook.com/hrmeetup), or in following us via Linkedin (https://www.linkedin.com/company/2731745?trk=tyah&trkInfo=tas%3AHRmeet%2Cidx%3A1-2-2), Twitter, Soundcloud, Google+, Pinterest...Thx a lot! - Sponsor HRmeetup: "transforma bxl", "Hôtel Le Plaza Bruxelles", "Talentsquare".